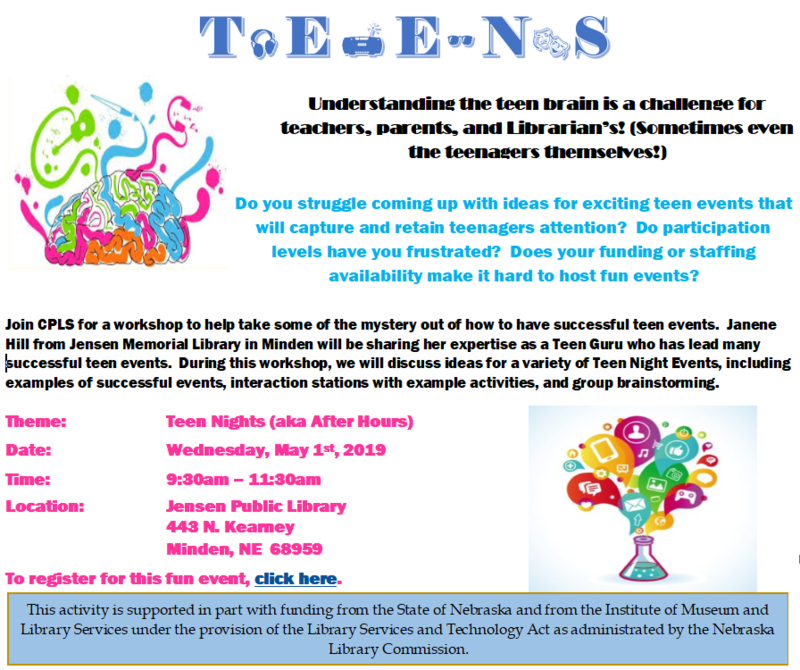 Janene Hill from Jensen Memorial Library is going to share her expertise to teach us ideas for a variety of Teen Night Events, including examples of successful events, interaction stations with example activities, and group brainstorming. For more information and details, please see this flyer. To get registered for this exciting workshop, please click here.